Of course there are a lot of other options out there too, so why do so many people choose Shopify as their ecommerce solution? Shopify provides the templates and tools to allow people with very limited website experience to design and build a professional ecommerce site. If you are confident with HTML and CSS, you can edit the templates to create your own unique results. You might need a hand to refine your design plans but, ultimately, you are in control. Whatever your digital strategy, easy payment is essential. You can accept credit cards directly with Shopify Payments and your transaction fees will be waived, although credit card fees still apply. Alternatively, you can integrate with more than 100 other payment gateways including multi-national and country-specific options and crypto-currencies like BitCoin. One of Shopify’s very popular features is the point-of-sale (POS) option. You can process credit card and contactless payments with the ‘Tap, Chip and Swipe’ card reader using any iOS or android device. It meets Europay, Mastercard and Visa (EMV) standards and is really useful if you sell at events, markets or in a pop-up shop. It’s synchronised with your inventory, orders and customer data, so you’re always completely up to date. Shopify has over 1200 options to choose from in its app store. You can use them to tailor your customers’ user experience. Options include administrative tools like bookkeeping and reporting as well as customer service additions like live chat, loyalty programmes and automated welcome messages. They can give your store added credibility as well as saving time and improving conversion rates. 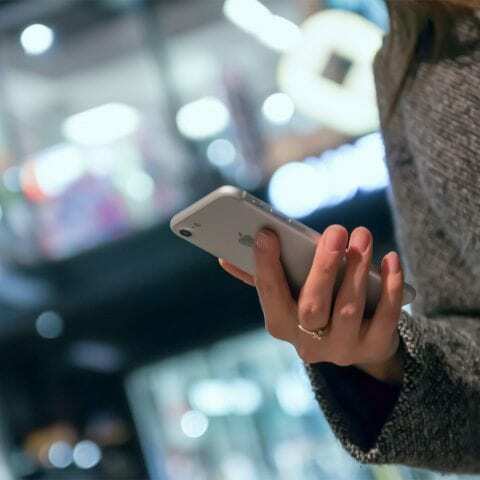 More and more shoppers now use their mobile devices, so your ecommerce store must look and work just as well on a smartphone or tablet as it does on desktop. Shopify is mobile responsive, so the look and feel of your store isn’t compromised when viewed on different sized screens. Shopify also includes mobile commerce features, so customers can easily browse and buy using their mobile device, wherever they are. You can also check sales statistics, customer data and manage orders from your mobile. If you’re curious to know more you can start with Shopify Lite. When you’re ready to move on there’s a basic package. The standard package suits growing businesses and there’s an advanced package when you’re ready to scale up. Shopify Plus is for high volume businesses. We’re always ready to give some advice or lend a hand, so get in touch to find out more about how Shopify could help your business grow online.